If the wind is strong enough to lift the windward hull, a catamaran will always sail on the apparent wind—meaning that speed forward through the water tightens the angle of the wind so that it always appears to be blowing from ahead, irrespective of the course sailed. The principal requirement of catamaran sailing is to build up apparent wind. When beating upwind, do not try to sail as close to the wind as possible, as with a conventional dinghy. Instead, bear off a few degrees to power up the rig's forward drive. Increased speed will more than compensate for lack of pointing. Sailing downwind on a three-sail reach, the mainsail is sheeted almost on the centerline due to the apparent wind angle and the speed of the catamaran. The helmsman keeps maximum control by holding the tiller bar and letting the tiller extension trail. should "tack downwind." 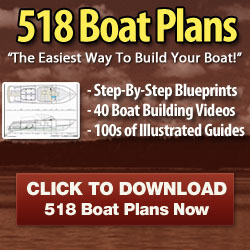 Start on a beam reach and head up toward the wind to build up power, lift the windward hull, and increase speed. The result is that the apparent wind direction moves ahead and the helmsman can bear away downwind, still sailing at speed and keeping the hull flying. If the speed decreases and the windward hull drops, he will head up toward the wind, then bear away again, with a succession of jibes taking the boat to a point dead downwind. 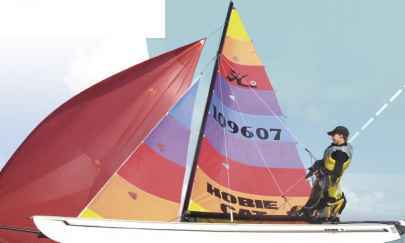 A catamaran that "tacks" downwind will sail considerably farther than one sailing on a dead run, but owing to far greater speed will always reach a downwind point first. 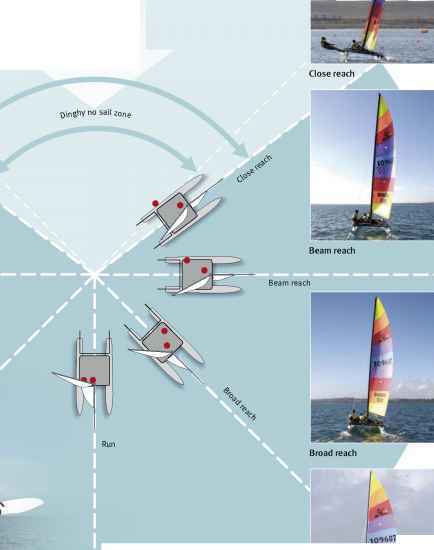 Catamaran sailors should beat to windward on a close reach, not attempting to point high upwind, which slows the boat and prevents the windward hull lifting. Running is also inefficient, except in light winds. Sail a succession of port and starboard broad reaches, jibing across the downwind course. Center the mainsheet for upwind sailing; ease it down the track downwind.